Patterned Paper -- Prima Marketing, Inc.
Great job on yet another Christmas tag Bev. You've done well. This gold one is very special. I like the background and the pink flowers.Thanks so much for sharing your creation at the Watercooler Wednesday "Feminine" challenge this week. Love it! What a pretty tag, Bev. I love the tiny roses inside the oval as well as those pretty pink flowers on the tag. 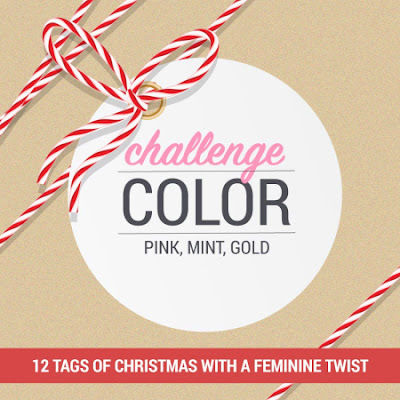 You've certainly made your tag feminine with a touch of Victorian elegance. Thanks so much for joining our Watercooler Wednesday Challenge this week. Very pretty tag, love those colors. Great take on this week’s challenge. Thank you for sharing with us this week at LRW. I am loving your Victorian tag. 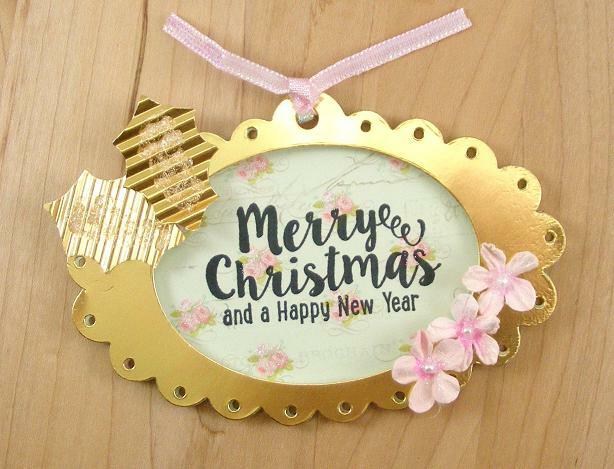 It is beautiful with the gold around the sentiment on top of the very pretty pattern paper. Thank you so much for joining us at The Merry Christmas Challenge Anything Goes/optional twist Fun Folds challenge.